Lada Dracul has no allies. No throne. All she has is what she's always had: herself. After failing to secure the Wallachian throne, Lada is out to punish anyone who dares to cross her blood-strewn path. Filled with a white-hot rage, she storms the countryside with her men, accompanied by her childhood friend Bogdan, terrorizing the land. But brute force isn't getting Lada what she wants. And thinking of Mehmed brings little comfort to her thorny heart. Haunted over the unknown fate of Nazira and Cyprian, Radu is called back to the new capital. Mehmed is building an empire, becoming the sultan his people need. But Mehmed has a secret: as emperor, he is more powerful than ever...and desperately lonely. Does this mean Radu can finally have more with Mehmed...and would he even want it? This vividly rendered novel is like HBO's Game of Thrones if it were set in the Ottoman Empire. 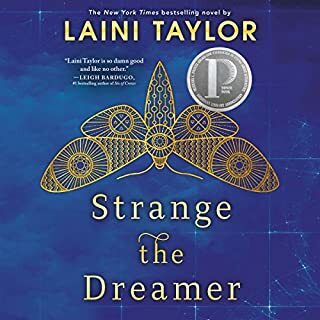 Ambitious in scope and intimate in execution, the story's atmospheric setting is rife with political intrigue, with a deftly plotted narrative driven by fiercely passionate characters. 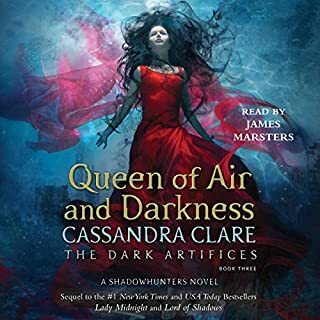 Fans of Victoria Aveyard's The Red Queen, Kristin Cashore's Graceling, and Sabaa Tahir's An Ember in the Ashes won't want to miss this visceral, immersive, and mesmerizing novel, the first in a trilogy. Lada despises the Ottomans and bides her time, planning her vengeance for the day when she can return to Wallachia and claim her birthright. Radu longs only for a place where he feels safe. 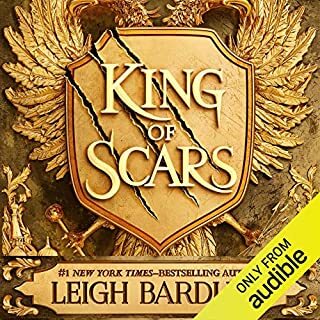 And when they meet Mehmed, the defiant and lonely son of the sultan, who's expected to rule a nation, Radu feels that he's made a true friend - and Lada wonders if she's finally found someone worthy of her passion. But Mehmed is heir to the very empire that Lada has sworn to fight against - and that Radu now considers home. Together, Lada, Radu, and Mehmed form a toxic triangle that strains the bonds of love and loyalty to the breaking point. 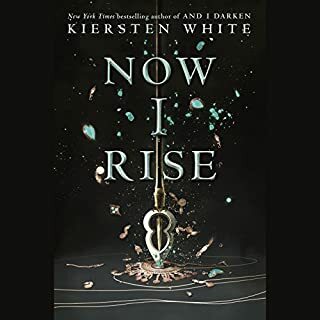 From New York Times best-selling author Kiersten White comes the first book in a dark, sweeping new series in which heads will roll, bodies will be impaled, and hearts will be broken. SO hard to get through. The kids featured are impossible to like. The girl is a little brat who thinks far too highly of herself and the boy is so whiny and annoying. The storyline was very hard to follow - although I will allow that this could be because I was so disinterested that I found it hard to pay attention. Regardless, the story is very very boring. The reader is good though, if she does another book I would consider it for her. If you want a neatly packaged love story this book is not for you. But if you will let the authors story open new worlds and perspectives for you... You are in for a rare tale. Harsh without traumatizing the reader. I'm glad to have read it. The story begged me to lay it down and take a break bc of the heart ache but I couldn't leave it alone. It is a fabulous stand alone tale but I can see epic potential as a series. I just need some sugar and a nap before I can commit to more. 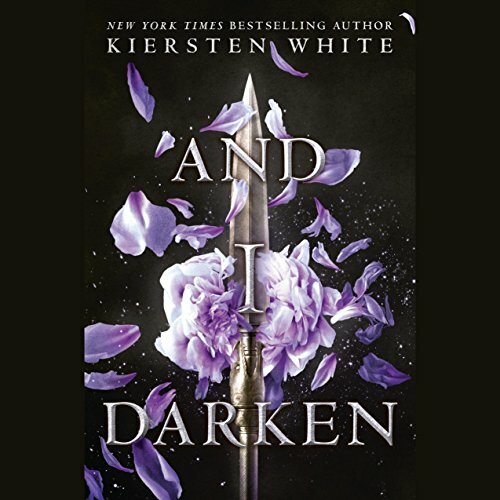 And I Darken follows the life of a sister and brother who are taken as collateral in the father's treaty agreement with a foreign country in exchange for military support in holding on to his thrown. 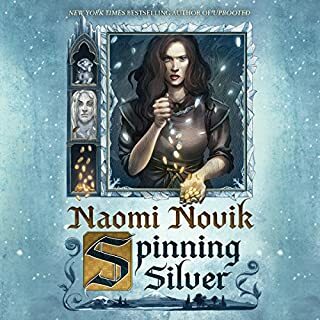 The older sister is fierce and determined, while her little brother has a heart that longs for friendship and acceptance. In this foreign land they must learn the skills that the other posses. As with some families, they drift apart and find that they are stronger together. But reconciling isn't easy. It's hard for the siblings to accept the faults of the other. This story is beautifully written. Though a bit slow at times there is a real depth to the feelings of these young characters. My heart broke for Radu who will do anything for someone to call him friend. And then, he finds that he doesn't have a traditional love. The story touches on alot of sensative topics. It was not what I expected after reading the summary. It delves into the relationship between religion and politics. If these are turn offs for you, then I wouldn't purchase this book. One last praise to the author in her character development. It was really done well. If you enjoy historical literature or stories around politics and governing this will be a good choice. If these are not things that peek your interest then I'd suggest taking a pass on this one. Narrator brings to life the authors characters. I struggled at first with how long the story is. after awhile thought Fiona (Narrator) built up these amazing characters. 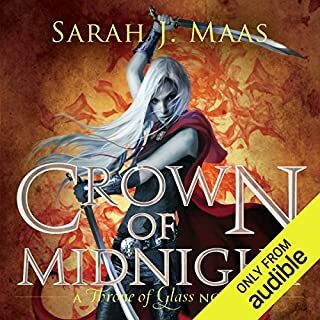 I bought book 2 so I could read it faster than listen. 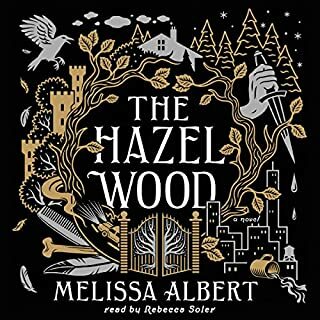 absolutely adore the narrator and highly suggest this as well as the other books she reads. 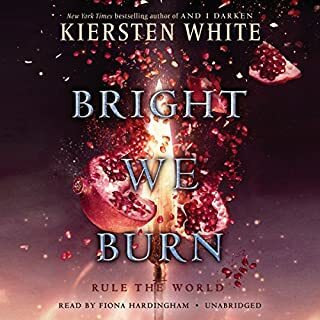 This is the first book by Kiersten White I've listened to, I selected it because I love Fiona Hardingham and was extremely pleased with the choice. There is incredible character development, intrigue, and romance. 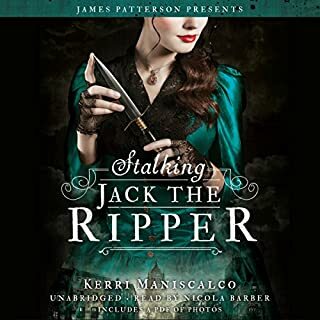 You get invested in the characters and Kiersten sets herself up beautifully for many more books to come! If you like stories full of dialogue, sword play, and love, this is the book for you. Kiersten White's newest book is a tour de force and unlike anything else I've ever read by her. 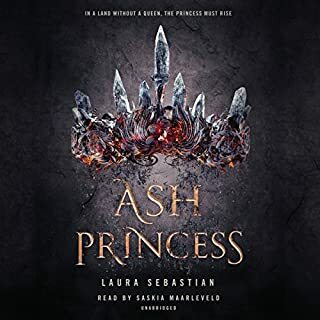 In And I Darken Kiersten White recasts Vlad the Impaler as a girl, Lada Dragwlya. Vlad III, known for his ruthlessness, is most famous for being the historical inspiration for Dracula. Lada, in turn, is ruthless, smart, and fierce. She has a viciousness that is rather terrifying. You don't read about too many girls like her. I was expecting some kind of fantastical element to this story, but it reads more like true historical fiction. White follows the outline of Vlad's life as she tells her tale. She adds detail and character to the historical facts. Plus, we have a girl Vlad so that opens up all kinds of possibilities. 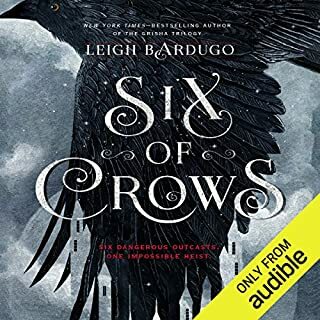 The book is narrated by both Lada and her brother Radu. And I really enjoyed the complicated relationship between the two siblings. Vlad and his brother, the young princes of Wallachia, were ransomed by their father to the Ottomans in 1442. Lada and her brother Radu are as well. There they come of age, and in some ways this book is a coming of age story -- especially when it comes to Radu's part of the tale. Living in the Ottoman empire, the princess and prince are somewhat isolated. They don't really belong. The tide changes a bit when the two meet and become friends with Mehmed (the future Sultan). Mehmed is the other towering figure in And I Darken. 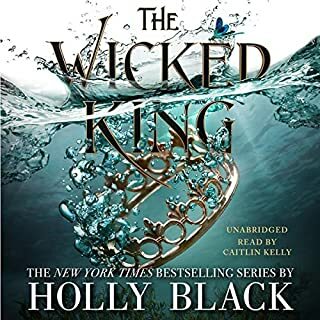 This book has great character development, lots of political intrigue, a high-stakes love triangle, and fabulous historical atmosphere. I really enjoyed delving into the history of the Ottoman Empire. It was so formidable for so long, but I haven't encountered it much in fiction. 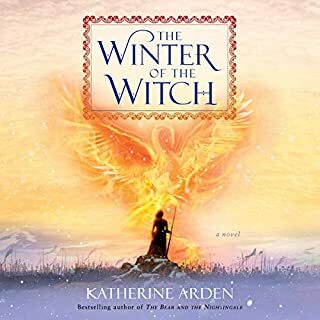 This book strikes me as a gutsy departure for Kiersten White. And I Darken explores issues of gender equality, sexuality, religion, familial relationships, and politics in a sophisticated and unflinching way. Fiona Hardingham always delivers a great performance. 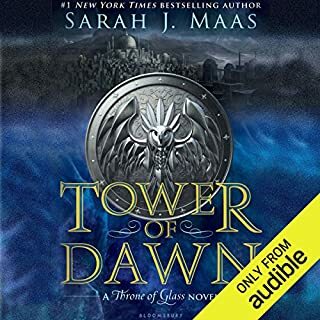 I'm pretty sure my enjoyment of this book was upped because I listened to the audio version. I will definitely be listening to the sequels. I didn’t dislike anything. 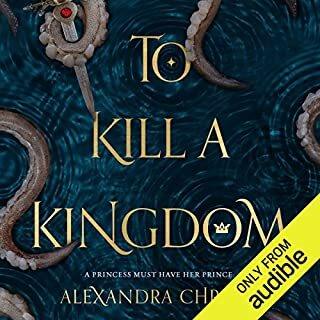 I was so tempted to buy the actual book and follow a long since this is my first audiobook I was on the edge of my seat the whole time. It was amazing. I can’t wait to read the second one. 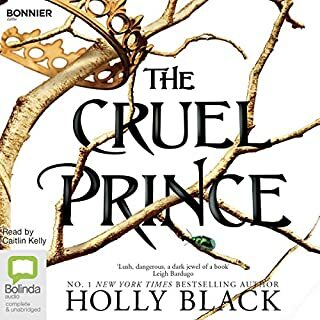 I thought this books was slow, but then I realized I was totally comfortable with the pacing and could sort of snuggle into it without getting too tense or edgy. This book was not complacent or boring at all. There was plenty of intrigue and conflict, but not so much so that I got lost, overwhelmed, or bored. It was very easy to come to love the characters (or hate them) but I never really felt like any of them were over the top or characatures. They were people. 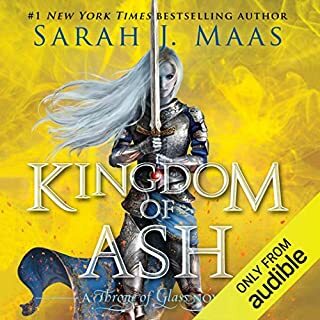 I listened to the audio version on audible, and I didn't care overmuch for the narrator. She was good, but sometimes her reading got choppy or halted, emphasizing a word in the middle of a sentence by setting it apart. This often happened with names, as though she were pausing to make sure she pronounced it correctly. Not bad, but a little awkward at times. 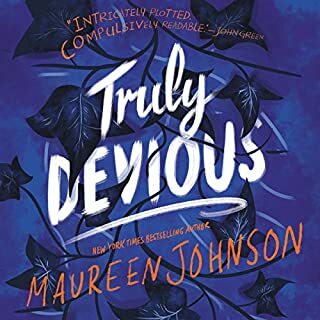 It took a while for the story to develop, but I ended up really enjoying the book.